BAE Systems Australia continues to break company record. BAE Systems Australia implements Critical Chain Project Management to their Deep Maintenance Program of LIF Jets with amazing speed and equally amazing results. 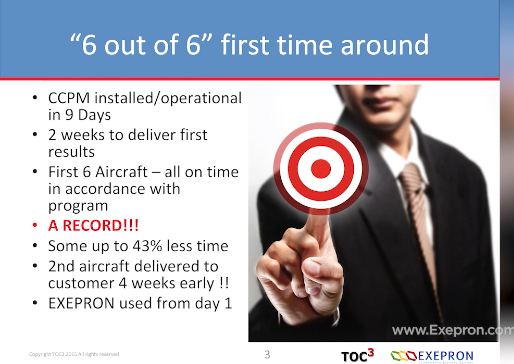 May 2015: 6 jets from 6, first time around on time and some up to 43% less time, a company record. September 2015: 14 jets from 14, on time to requirement. 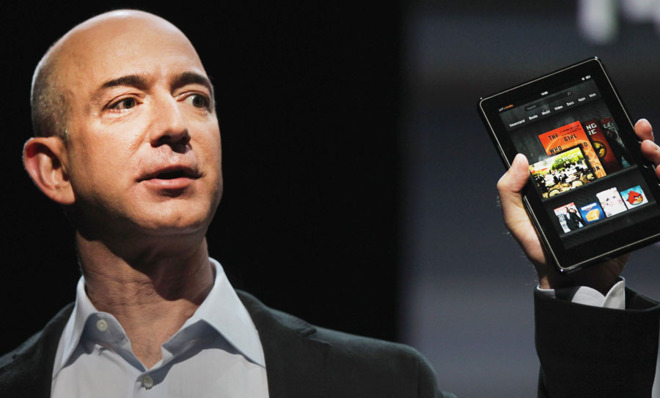 The company record continues to tumble. This is a remarkable result as the aircraft MRO environment is one of the most complex in which to deliver everything on time, to budget and to specification. What surprised BAE was the speed by which the knowledge and solution was delivered and successfully applied. The Critical Chain Project Management (CCPM) solution was fully installed in under 9 days. 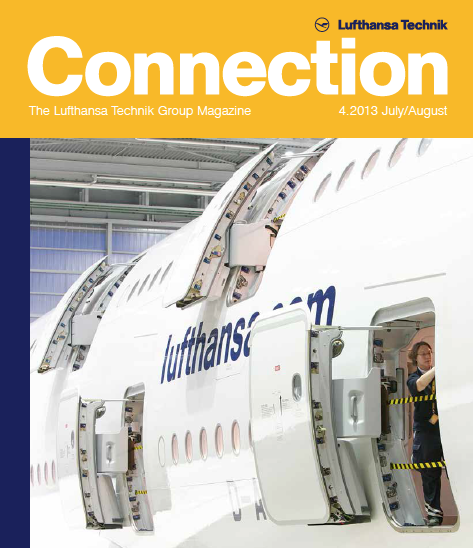 First jet in project execution within 4 days, first results through the hangar within 2 weeks. Some jets had up to 21% scope increase. 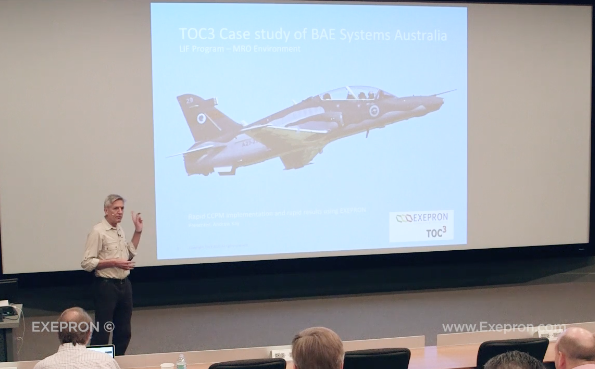 TOC3 in collaboration with Danny Walsh, CEO of Exepron, provided the expert training and guided facilitation to the talented BAE team who quickly jumped on board with CCPM and grabbed onto EXEPRON with both hands. The software was used for both training, building the project networks in planning and runnning the Maintenance Program in real time. Note: This is yet another TOC3 rapid implementation project where the solution was installed and operational within 10 days. Two years in business school and stints as an entrepreneur and business consultant had mostly convinced me that all management theories are basically a crock. The technical tools I learned in business school, such as accounting and financial analysis, were quite useful in the real world. But the abstract theories I was taught were rarely superior to good old-fashioned commonsense. We help business owners and manager's rapidly achieve their goals by focusing on and leveraging the very few constraints that limit the performance of their business. We answer the question - "With so many things that need improvement where should I focus effort, time (and money) that maximises profits and cash flow in the shortest possible time?" Using nothing more than your existing resources TOC3 can show you how. We teach a profound change in thinking and provide the expertise in the design and implementation of proven, easy to run and highly visual business systems and processes based in the logical principles of the Theory of Constraints (TOC). At TOC3 it is our business to rapidly get everything in your business aligned and synchronized to achieve your Goal. 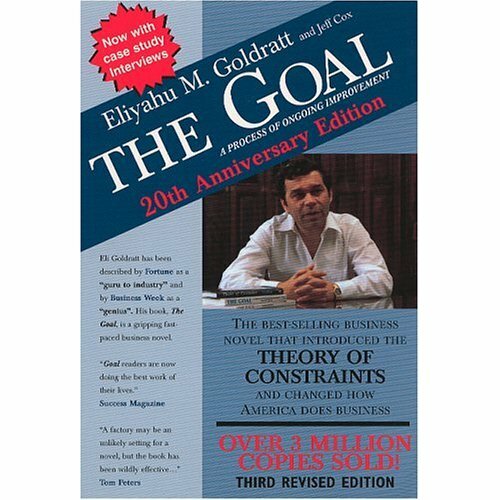 We help you identify the few constraints that limit goal achievement. For most businesses that is make more money now and in the future. We then help you focus and leverage these few constraints to rapidly improve productivity and performance to make more money with less effort and less cost. Our ideal partners are organisations who want to quickly and systematically transform their business performance. gain a reliable platform for ongoing improvement. We are educators and practitioners. We are not consultants and our dealings are value based not cost driven. Willingly run by your own people. Involves only a few key people.